I'm celebrating the 4th by decorating my front door. You don’t think that sounds celebratory? Well it’s a pretty big deal for me to change my door. We almost never USE our front door so I don’t think much about it. Besides that, I really LIKE my door. I think it is perfect just the way it is. I made this wreath several years ago and I really like it. 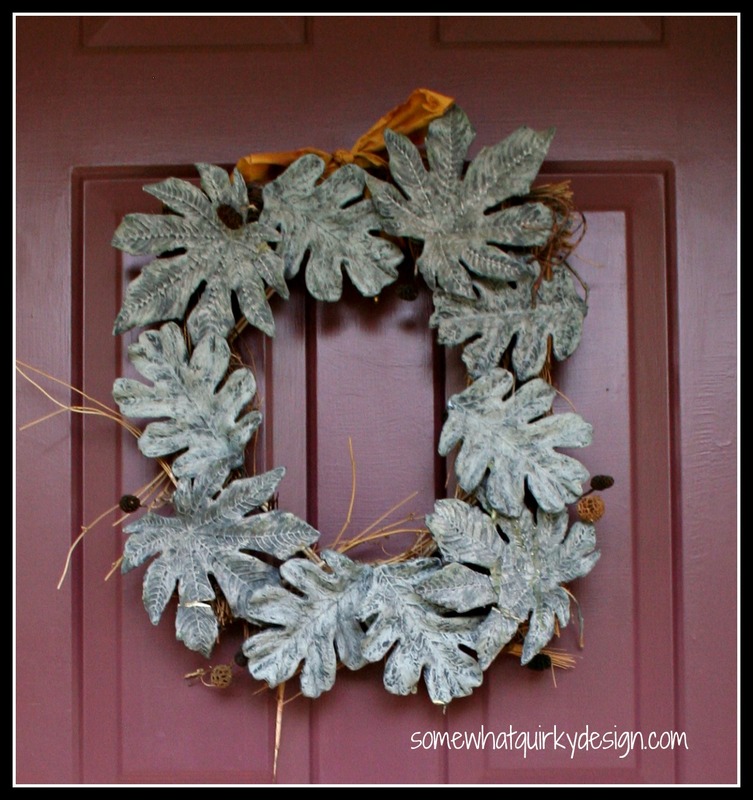 I have made other wreaths and door pretties, but I always come back to my favorite. But the 4th of July deserves a special door. Don't you think? Love it? Make it! Here’s how. Sissors, glue, Fray Check (if needed) book that you don’t mind messing up the cover of (you can still use the inside of the book for reading) blue fabric (I used denim), white fabric ( I used burlap, red and white fabric (I used upholstery tape with red stitching), twine or ribbon to hang it with. 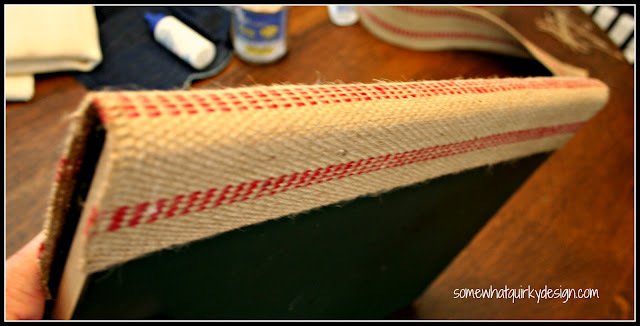 Cut strips of upholstery webbing and glue to the top of your book. 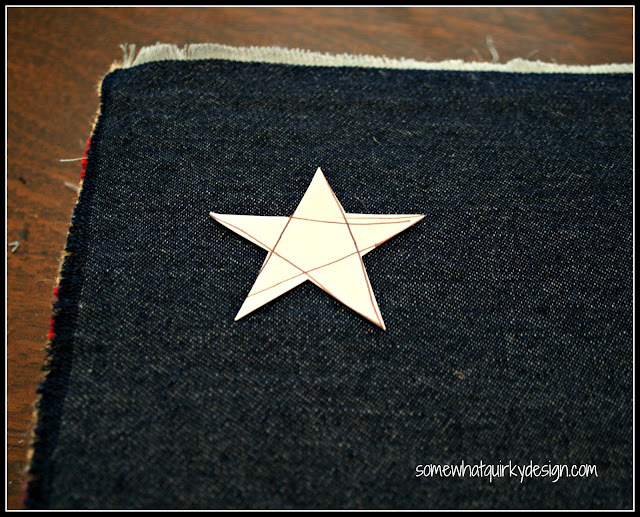 Cut rectangle of denim, fray the edges, glue to upper left corner of the “flag”. Cut star pattern from the back of your birthday card. Draw star onto fabric approximately ¼ inch from edge of star. 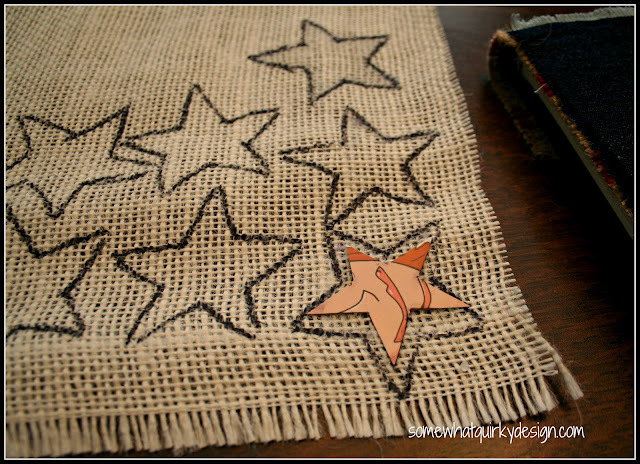 Drop Fray Check just inside the lines so your star won’t fray apart when you cut it out. Cut your twine to the length needed to hang on your door. 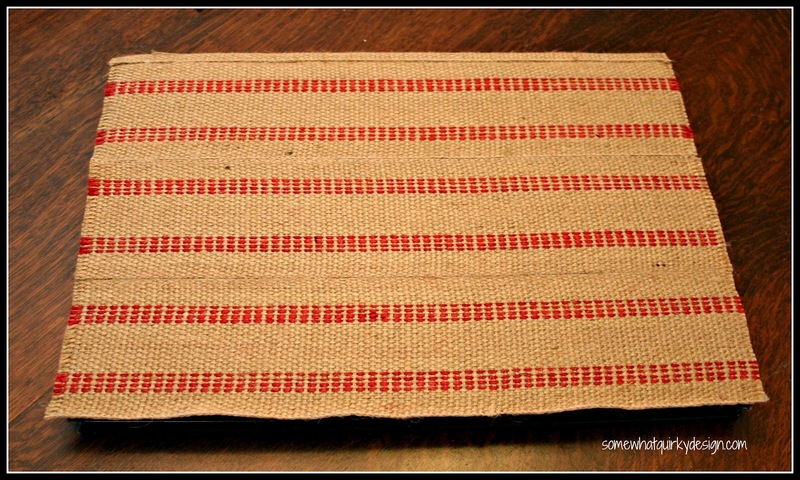 String it between the center pages of the book and tie. You’re DONE. It took me 30 minutes, but I had to take a break to move the sprinkler and couldn’t get it set right. So if you're driving down a street and see this flag you'll know where I live! Stop in and say hello! PS - when I checked the inspiration piece, I realized I forgot the most important thing. What do you think? Should I change it? Going over to check out the other links. I like it a bit simpler - without the wording. Putting the antique card or key on there would be ok but I don't think it misses anything without the ribbon on top. Super cute, Karen. I saved the picture for reference. I love it. 10-20 links - I think I can handle that! 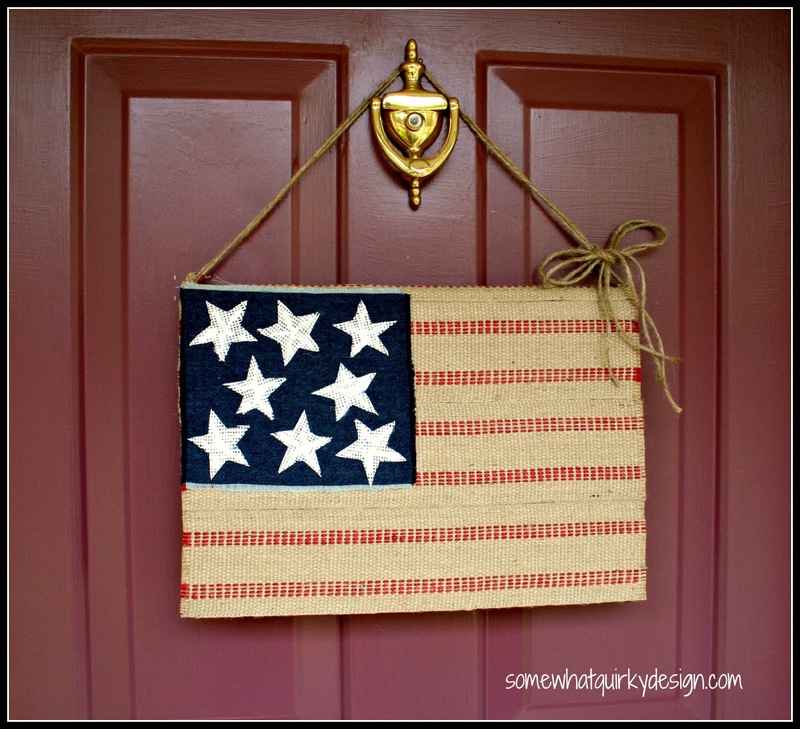 I love your jute flag - pinning so I can have a cool front door too! Here's to your cool chicks party! Karen, Love the flag! So the party starts next week? I hope I'll have something ready so link-up. Love a hot party! Believe me, it's hot in Michigan! 99 and almost 100% Congrats on hosting your first party!! 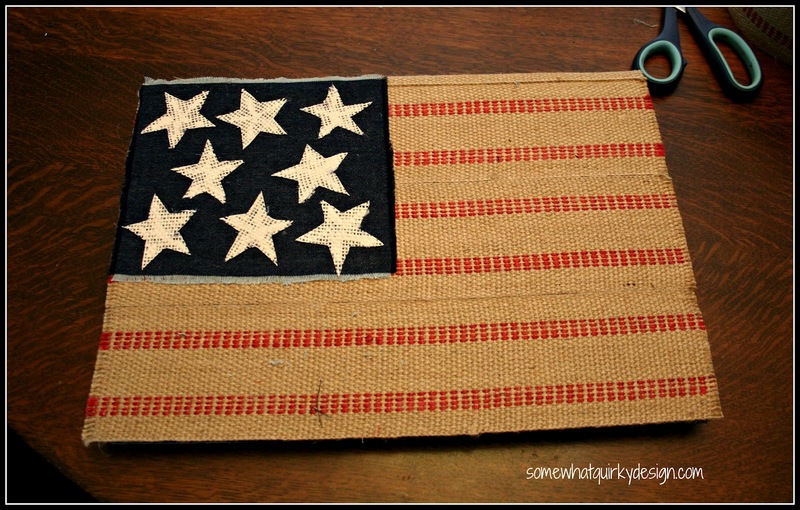 The Flag! How cool is thattttt?! This is darling! 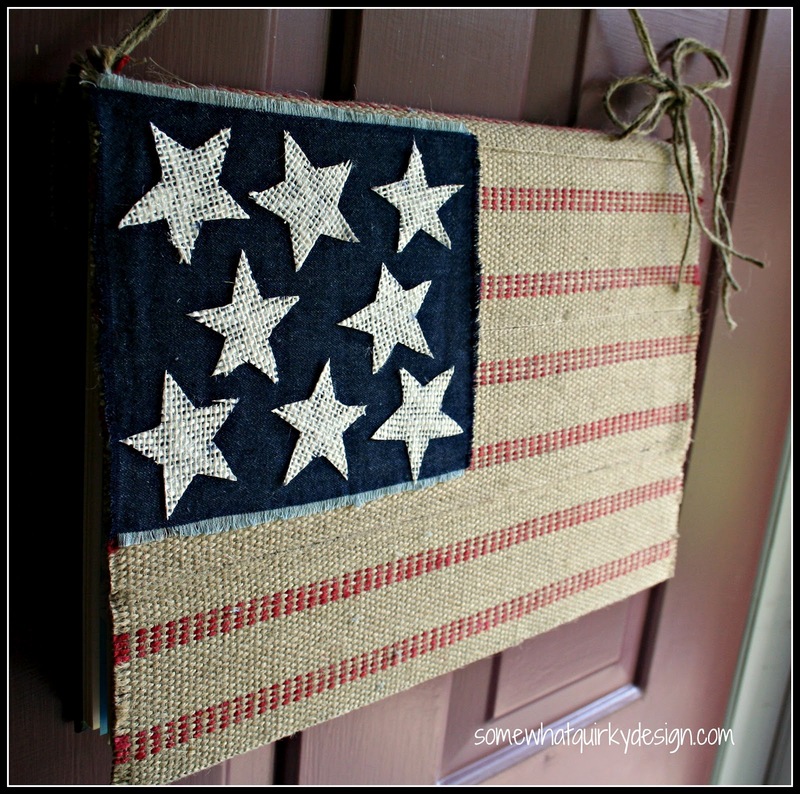 I'm always looking for seasonal door ideas and this is the perfect thing for Independence Day.